This graph is based on data from the Tax Policy Center. Ezra Klien points out that, under the Romney plan, the top 1% of earners would save an average of $149,997 or, as the graph above shows, 7.8%. 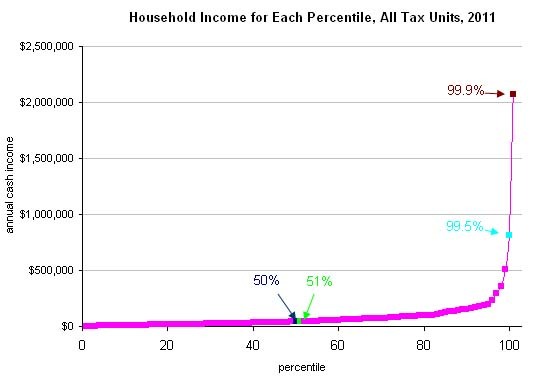 The majority of us, whose incomes fall first three quintiles (0-20, 20-40, and 40-60 in graph below) would get tax breaks of less than 2%. Those of us getting a Romney tax saving of less than 2% are going to certainly spend it into the economy, thereby strengthening the economy. It simply isn’t enough to notice and therefore consciously save. On the other hand, the Congressional Budget Office (CBO) data shows that, as of 2006, that top 1% had an average income of $1,071,500. The current number is likely to be significantly higher. Klien used an average of $1,923,000, although he didn’t indicate his source. You have to ask yourself : how much different the lifestyle of someone earning nearly $2 million will be if they take home an additional $150 thousand. Are they going to do something with it that builds the economy, that creates jobs? For those of us familiar with the TED talks, here is Nick Hanauer’s TED Talk: Rich people don’t create jobs. Nick was an early investor in Amazon.com, founded the companies that became Overstock.com and aQuantive, which was acquired by Microsoft for $6.4 billion, and co-founder of the venture capital company Second Avenue Partners, so he has some credibility on the subject of actually creating jobs. 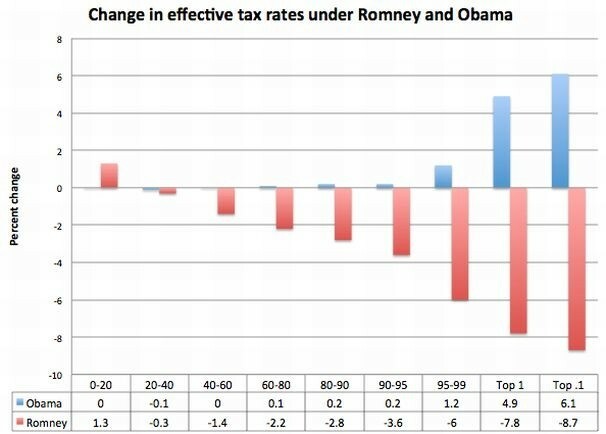 But Romney’s tax plan, if it is going to create jobs, depends on the theory that trickle down economics works. He is promising to test it one more time. This entry was posted in Flyinglow/Rick Robins, Taxes vs Fees - How do we pay for the services Gov't provides, Trickle Down vs Flood-Up - Which economy really works? and tagged 1%, Forbes, income, job creators, jobs, Nick Hanauar, Obama, Romney, taxes, TED talk, trickle down. Bookmark the permalink.